Summertime, and the living is easy! Now is the time to enjoy the outdoors, and what better way than dining al fresco? Decorating with nature as your backdrop gives you so many of options. As summer reaches it's peak, sunflowers are a perfect choice to build your table decor around. Paired with blues taken from the sky and water, your tablescape will look fresh and cool during the summer heat. While you're at it, why not think outside the box and use sunflowers in an unconventional way? 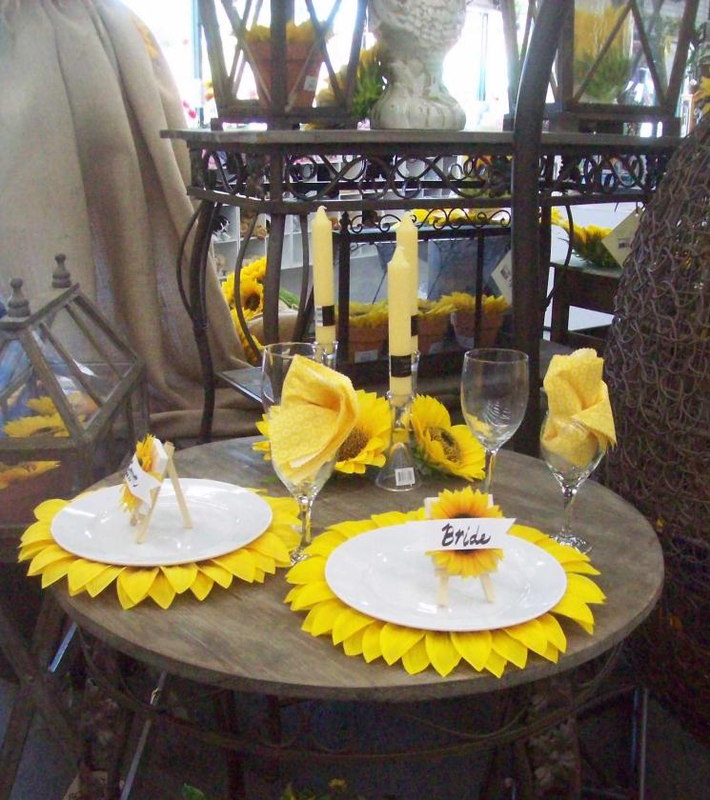 Giant silk sunflowers, deconstructed, become unique placemats, while smaller blooms are the perfect backdrop for placecards. 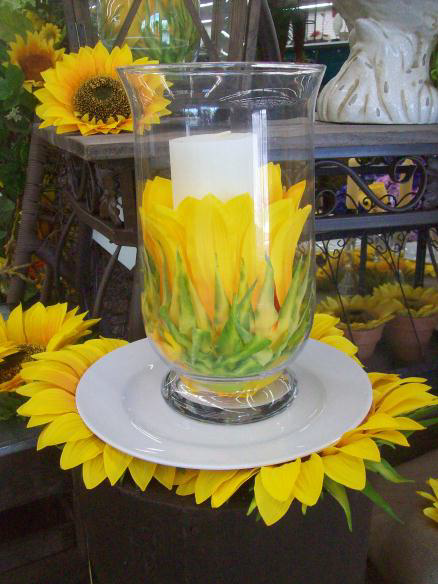 Finish off your decor with a sunflower embellished candle in a hurricane to keep the wind out, and your dining adventure can carry on into the evening. So, what are you waiting for? 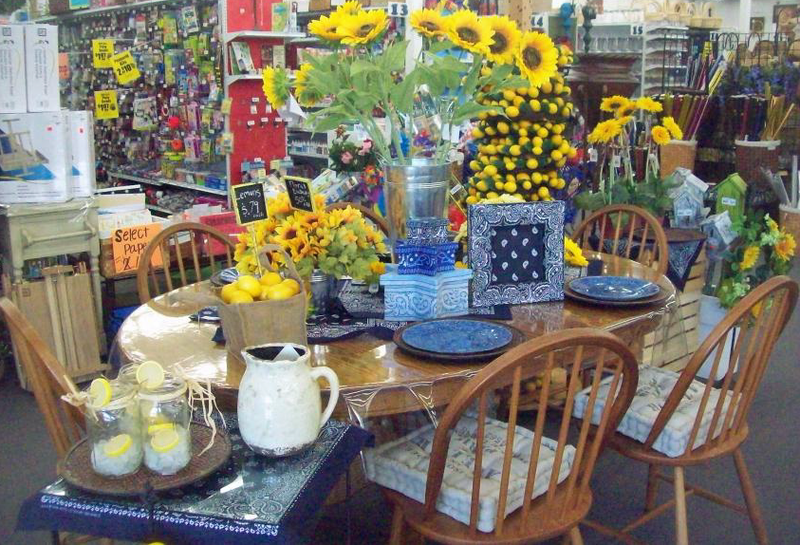 Grab some sunflowers, enhance your outdoor living space, and enjoy the lazy days of summer!